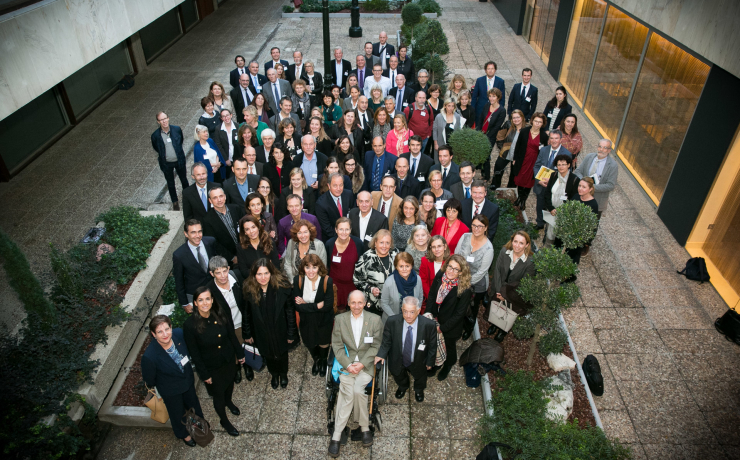 Country groups are invited to participate by the Optimal Nutritional Care for All Steering Group that consists of ENHA trustees, members and patient representatives. Participation is voluntary and the invitation to participate is based on the explicit interest of country leaders to work together in a multidisciplinary way, implementing science outcomes into better nutritional screening, care and prevention. As health care and public health policy are driven by national policies, key implementation activities are undertaken at national level by mulitidisciplinary national leaders, associations and patient organisations. ENHA coordinates and supports the process. These documents are – not mandatory – templates, country groups have the option to use or adjust these to their national needs. Twice a year country delegates get together to discuss progress, exchange experiences, share best practices and develop innovative projects. The pace and depth of implementation by participating countries vary, and depend on local capacity, resources and priorities. Every country determines its own pace of implementation.